Our 25,000 square feet of ergonomically engineered meeting space in New Jersey is designed to accommodate them all. At last, a meeting place which has mastered the art of meetings. 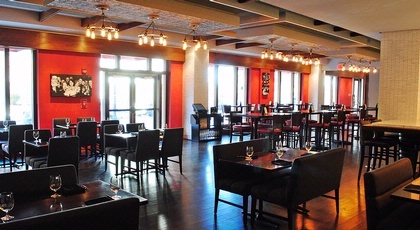 The Heldrich Hotel & Conference Center presents a unique new luxury destination in the cultural heart of New Brunswick. Just a half hour from Newark Liberty International Airport, our high-tech New Brunswick meeting space is one of elegance, inspiration and innovation. For more information, please contact Group Sales at 732-214-2206. The Heldrich’s fun team-building exercises that fuel a little friendly competition, while also firing up the friendships. Why are there Japanese monuments in the Willow Grove Cemetery? What secret underground location did flappers flock to during the 1920’s Prohibition Era to drink their bathtub gin? 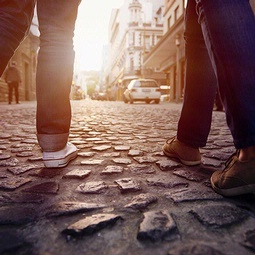 Your group will find the answers to these questions and more during a two-hour guided stroll with New Brunswick Walking Tour, which covers four centuries of quirky historical happenings. 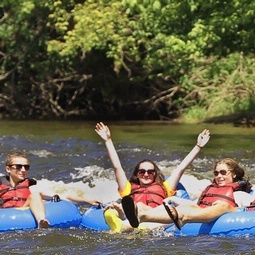 Bucks County is home to a beautiful stretch of the Delaware that has been a tubing hotspot for almost 50 years, thanks to its refreshing 80-degree temps all summer long, currents that run an average speed of one-and-a-half miles per hour, and a water depth of one to five feet. Book a two- to four-hour tubing experience with outfitter River County (located an hour west of New Brunswick) to float down this famed stretch of river packed with wildlife and surrounding cliffs and rock formations. 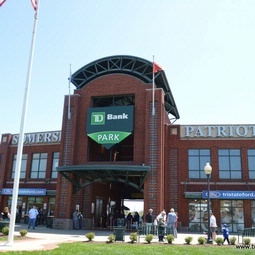 If you boast a group of ball fans, set up an outing to see the local home team: the Somerset Patriots, a Minor League team that makes its home in the neighboring town of Bridgewater at the TD Bank Ballpark. This 6,100-seat stadium offers special group packages, including an all-you-can-eat barbeque buffet, access to a “party deck,” as well as suite rentals for exclusive wait service. Based in nearby Edison, TopGolf is kind of like a driving range blended with a nightclub. 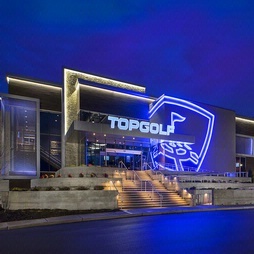 Featuring a lively bar-like atmosphere with live music and a full menu, the complex centers around a 215-yard outfield, where players – swinging from hitting bays – aim for dartboard-like targets with microchipped golf balls that provided players with the shot’s accuracy and distance. The best part? Anyone in your group – from the hopeful pro to those who have never so much as lifted a club – can play. 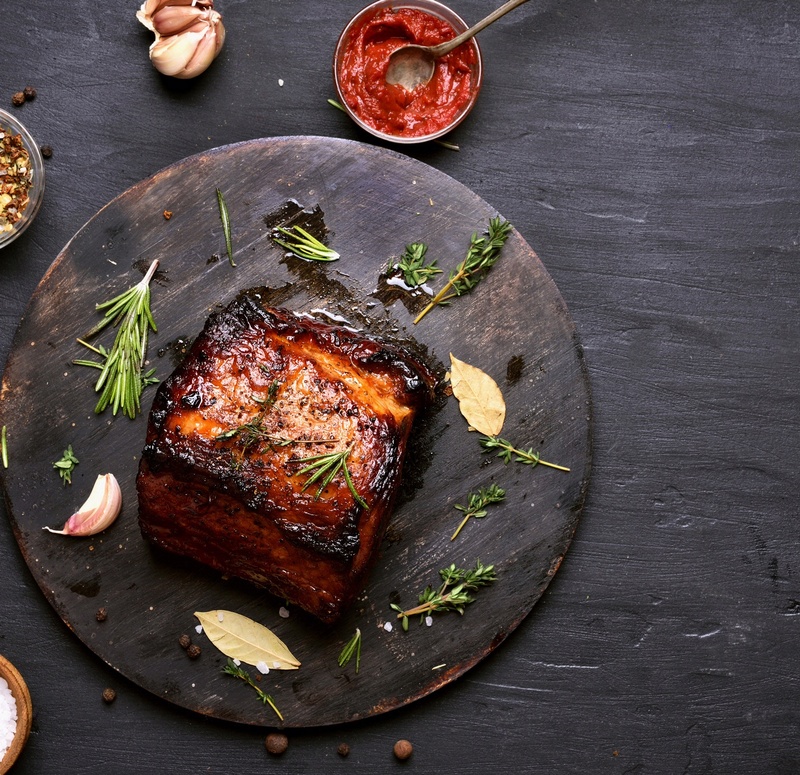 The best local restaurants with creative menu items to cater to your group. Located in the same building as The Heldrich, this trendy, new modern restaurant specializes in small plates with big novel flavors and an extensive selection of whiskey. 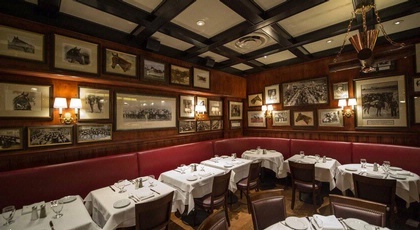 Groups can book the private “Iron Room” with seating capacity for 22 people, or reserve the main dining room (with seating for up to 50) accented with a wall resembling a honeycomb. 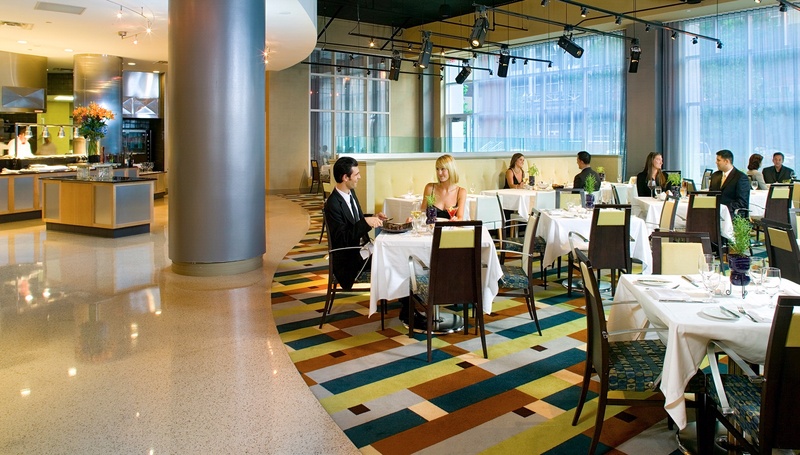 The Heldrich’s urban-chic restaurant is designed to comfortably accommodate 200 guests with banquettes that can divide the room into three areas. There’s also two private dining rooms that feature a seating capacity of 10-24 guests and an outdoor dining area serving another 50 guests. The menu features a well-rounded selection of options, including burgers, sandwiches, and salads as well as seafood and steak entrées. Billing itself as a twenty-first-century rendition of the classic American steakhouse, this upscale restaurant focuses on surf and turf – just done in new and inventive ways. 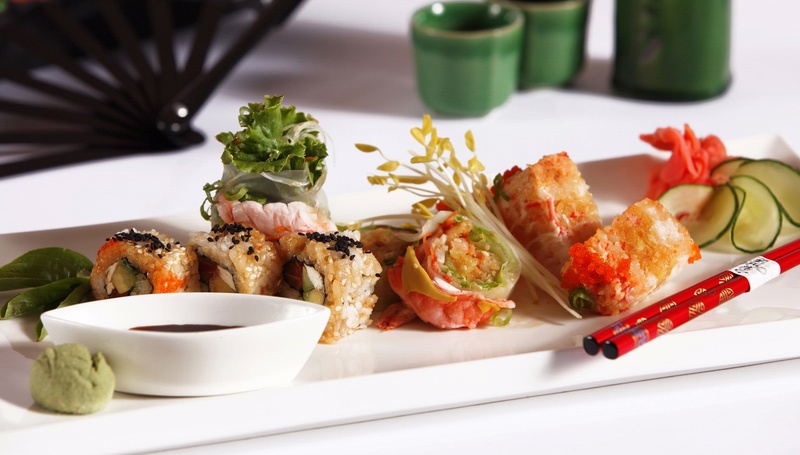 Favorites include the Applewood smoked bacon appetizer, dry-aged steaks seared on the cast iron grill, and crab-stuffed shrimp. New Brunswick’s best barbeque joint serves up North Carolina-style barbeque in a playful roadhouse-style setting adorned in unique vintage memorabilia. Expect a massive menu covering all the classics from burgers, pork, chicken, and ribs to hush puppies, loaded fries, and southern stews. 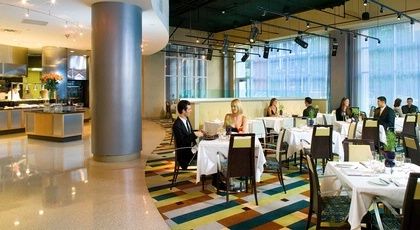 DEK: Meetings become lifetime experiences when hosted in one of New Jersey’s most unique meeting venues. 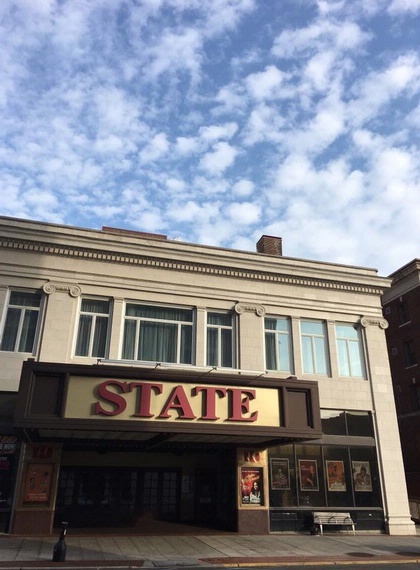 Originally built as a silent movie house in 1921, today, this historic art deco gem is the hub of New Brunswick’s arts community, hosting international orchestras, Broadway shows, comedians, dance, and more. 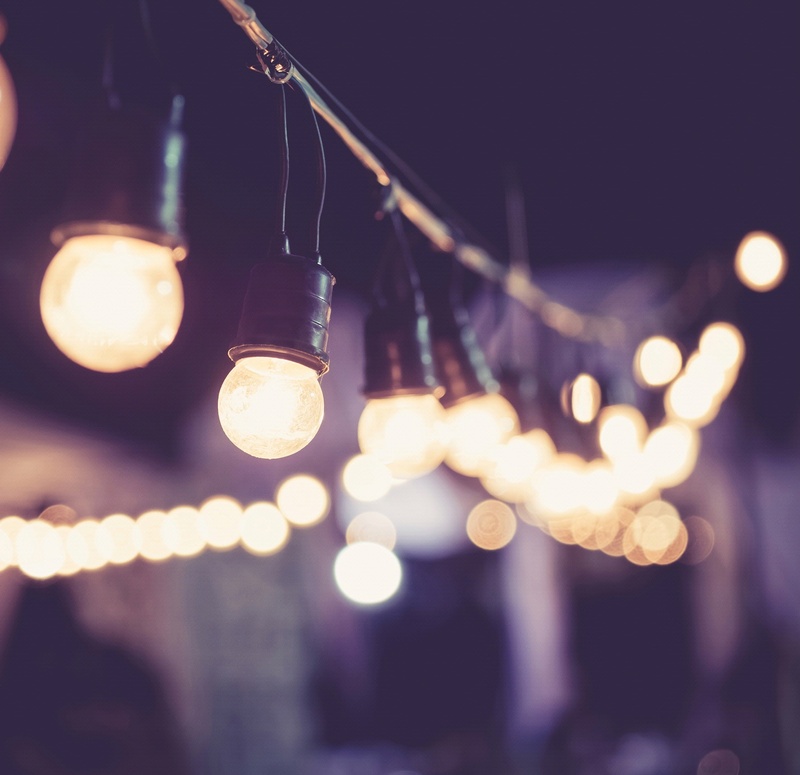 For groups, the venue offers special packages, which include discounted tickets, priority seating, concierge service, and special event spaces to host a pre- or post-show party. 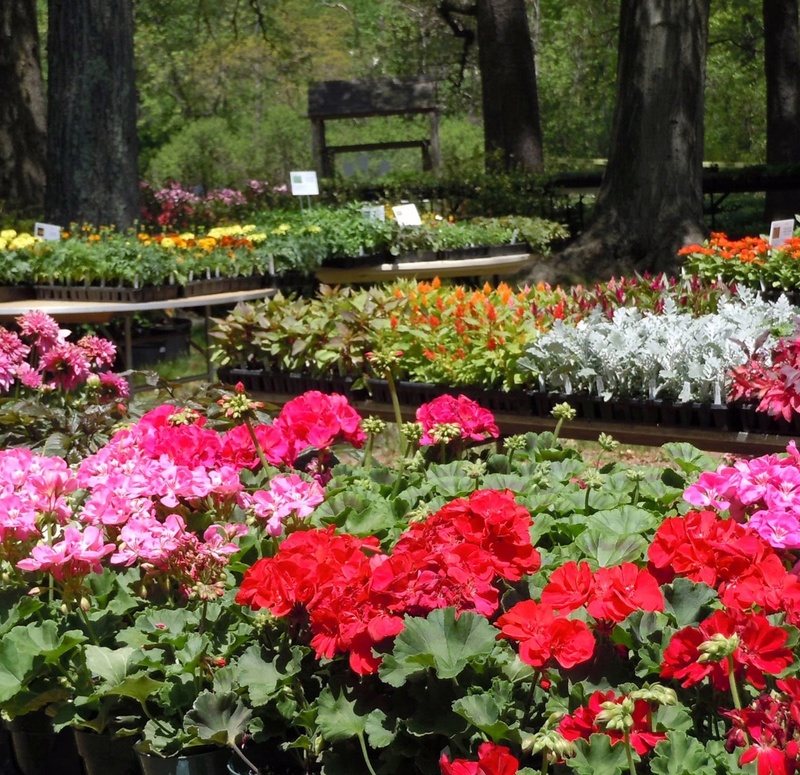 You’ll find no prettier place for a company picnic or luncheon than this little oasis located on the outskirts of the Rutgers University campus. The on-site log cabin and pavilion are available for rent and feature a beautiful backdrop of specialty gardens, tree and shrub collections, and walking paths.. In addition to their usual schedule of acts, this comedy club – having hosted the likes of Dave Attell, Jim Breuer, and Drew Carey – also offers special private party packages for groups looking to book out the entire venue. 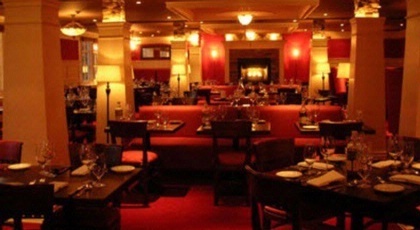 Your private comedic show comes with dinner, selected from 10 different menu options and provided by the venue. The galleries and gathering spaces within the largest university art museum in the country make for the ultimate backdrop for a private event, dinner party, or lecture. More than 60,000 works of art are on display, in addition to a particularly extensive collection of Russian work, which accounts for one-third of the entire holdings. 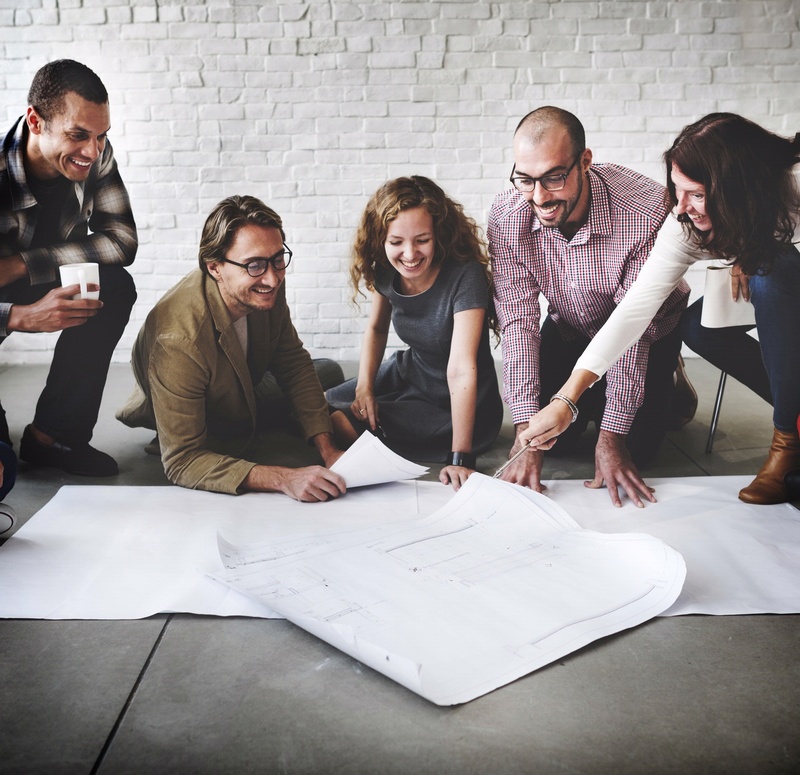 Offerings – from high-tech highlights to just plain ingenious add-ons – that make holding a meeting at The Heldrich unlike anything else. 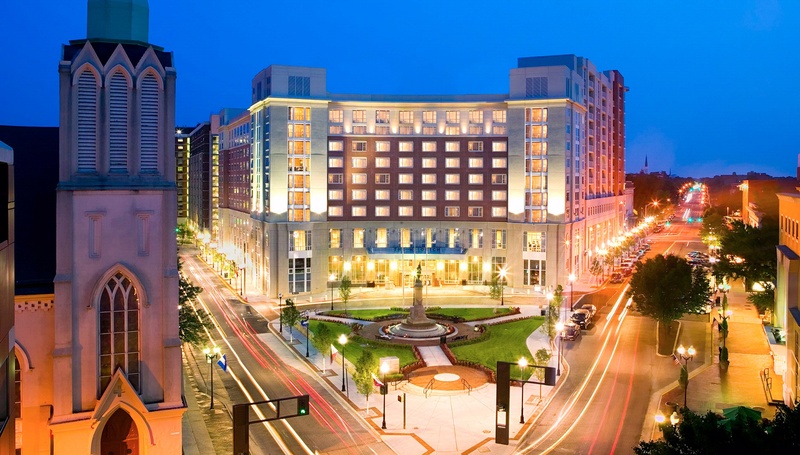 IACC stands for the “International Association of Conference Centers,” which means The Heldrich is the cream of the crop when it comes to meeting facilities and amenities. 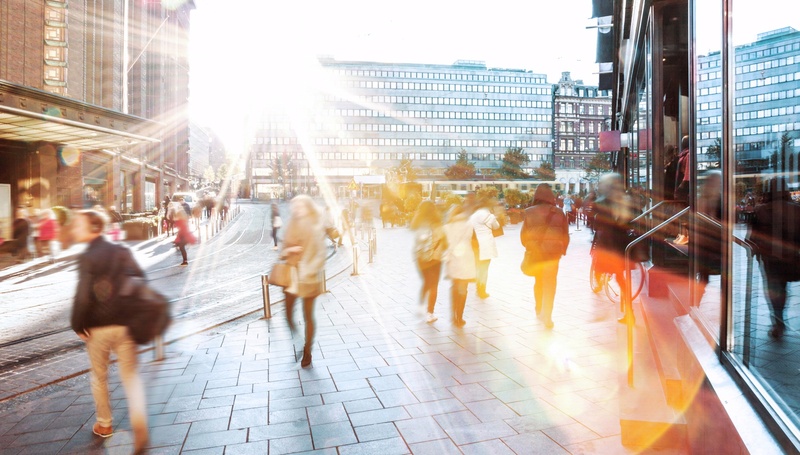 That’s owed to core details like 25,000 square feet of meeting space, three executive boardrooms, an 80-person amphitheater, conference concierge desk, in-house A/V equipment, 24-hour business center, and more. 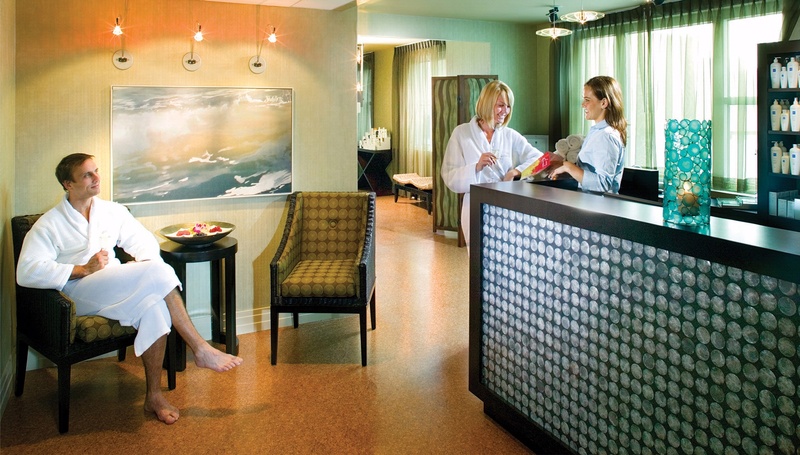 Unwind after a day of meetings with a visit to The Heldrich’s own spa, featuring a variety of rejuvenating services and four private treatment rooms. 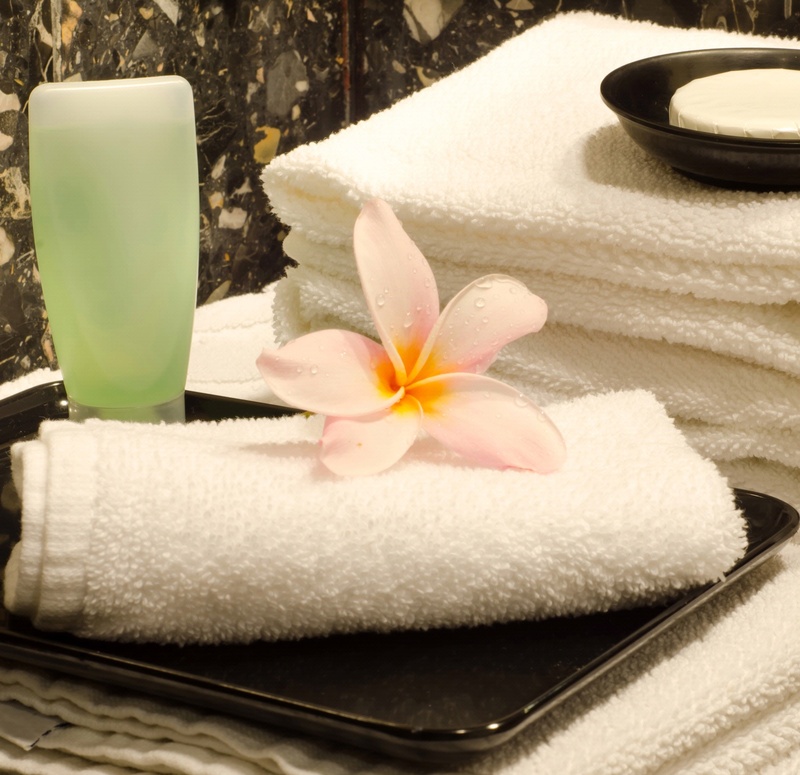 If you’ve only got a short window of time between meetings, consider a few of their speedier services, like the 15-minute chair massage, 30-minute scalp massage, or 30-minute refresher facial. Adorning the lobby and public spaces of the hotel are exceptional original artworks by internationally renowned New Jersey artists, including the entryway’s signature 10 by 20-foot glass installation by J. Kenneth Leap. Such spaces are perfect for contemplation or brainstorming in smaller groups during break-out sessions. Just because you’re on a corporate retreat doesn’t mean you have to give up your workout regime. The Heldrich’s on-site pool is great for swimming laps, while the gym offers treadmills, bikes, free weights, and other equipment. 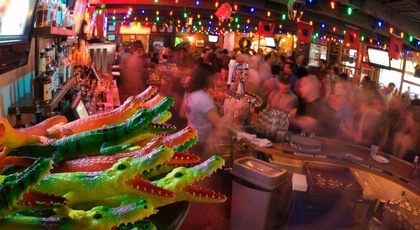 A few of The Heldrich’s corporate party ideas that your team will be talking about well into next quarter. Las Vegas comes to The Heldrich with playing tables manned by dealers, roaming drink servers, a deejay, photo booths, and more. 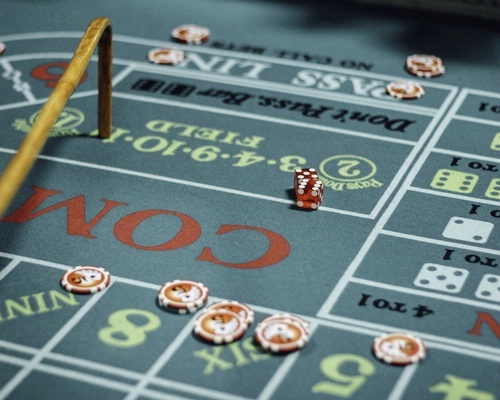 While no “real” gambling is involved, guests wager with funny money (think Monopoly dollars) and have chances to win prizes based on their winnings. In the beer tasting, a local brewery owner will teach guests how to serve the perfect beer, recognize a “good” or “bad” beer, and have them learn the finer art of taste-testing. In the wine tasting, a sommelier will teach the art tasting, as well as general rules of thumb when it comes to pairing wine with food. 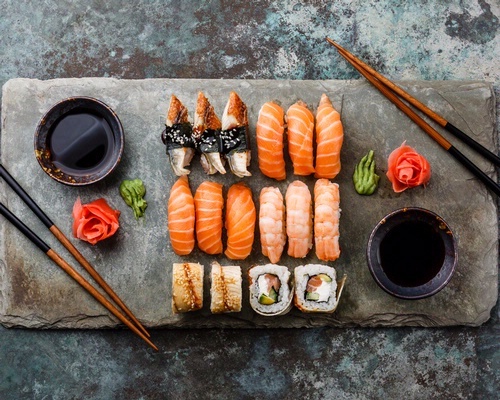 Not just a teambuilding event, but a dinner, this event brings in a local sushi chef to teach guests the art of sushi making, from preparing and seasoning sticky rice to rolling with a bamboo mat.